Couples look forward to the day of their child’s birth. This is quite a special day as they welcome and introduce a new member of the family. There are a lot of things to look forward to as they prepare for their newborn child. After the delivery, there are a number of opportunities parents will be able to take advantage of in the field of medicine. One of them can be found in the form of cord blood banking. Let us look at what cord blood banking is what why it is considered to be a worthwhile investment for the future. Cord blood banking is a medical procedure that is done to store umbilical cord blood for future use. This has been quite a common practice, and this can be seen with public as well as private banks accepting umbilical cord blood on a regular day to day basis. The concept behind this is that many believe that cord blood can be used in a variety of medical applications in the future which to benefit the family. This claim is rightfully so, especially since umbilical cord blood today is valued because it contains a great number of stem cells that can grow into blood vessels, organs, and tissues. These stem cells are considered to be invaluable in the field of medicine. This is because of its latent ability to replace damaged cells and treat a number of diseases. In addition, stem cells are also used in various research to study disease which helps pave the way in introducing new medical treatments. Cord blood banking does indeed offer a great deal of opportunity to parents who are willing to take the risk. There are a number of factors that needs to be considered when you decide to go store your child’s umbilical cord blood with these types of banks. 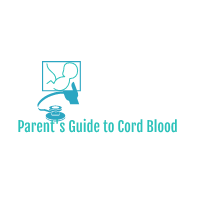 Cord blood banks especially the private ones don’t offer their services free of charge. Clients are expected to prepare a fair amount of resources in order to make use of their banks. The processing fee for the first year can range from $1,000 to $3,000. You also have to factor in its annual storage costs which can go from $90 to $175. Fortunately, clients are not left to deal with the payment themselves as several banks today offer payment options and plans to make cord blood banking a little more accessible to the public. This includes no-interest installments that are paid over the months as well as longer-term financing with interest. Cord blood banking is considered to be a worthwhile investment. Having a readily available method of getting stem cells can help save you a fair amount of time when looking for them. Furthermore, clients feel a good measure of convenience and relief as they have their cord blood banks always ready to heed and answer their call. Consider cord blood banking by discussing this with your partner today.